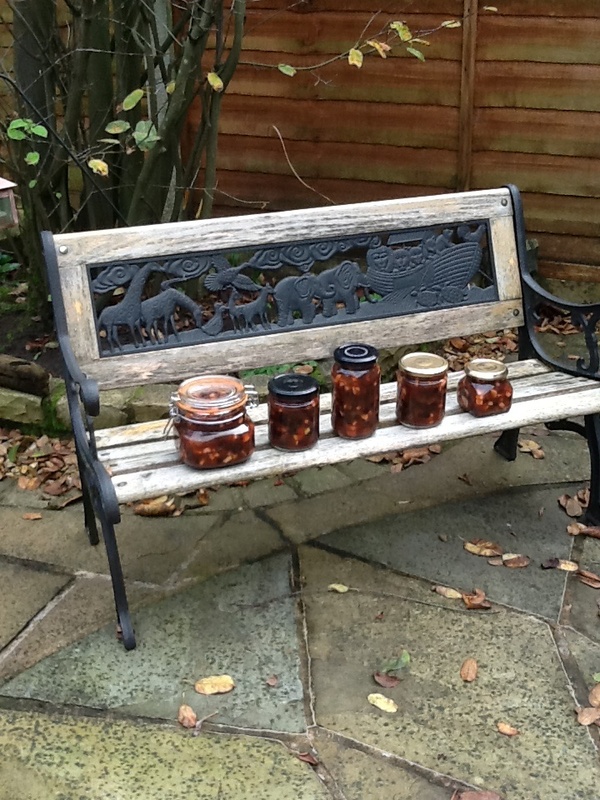 This recipe is from the lovely Pam Corbin who we had the pleasure of meeting to sign my preserves book at River Cottage. I’ve used this one (minus the walnuts) a few times as I’ve been lucky to be given plums and apples in the Autumn so it’s practically free! 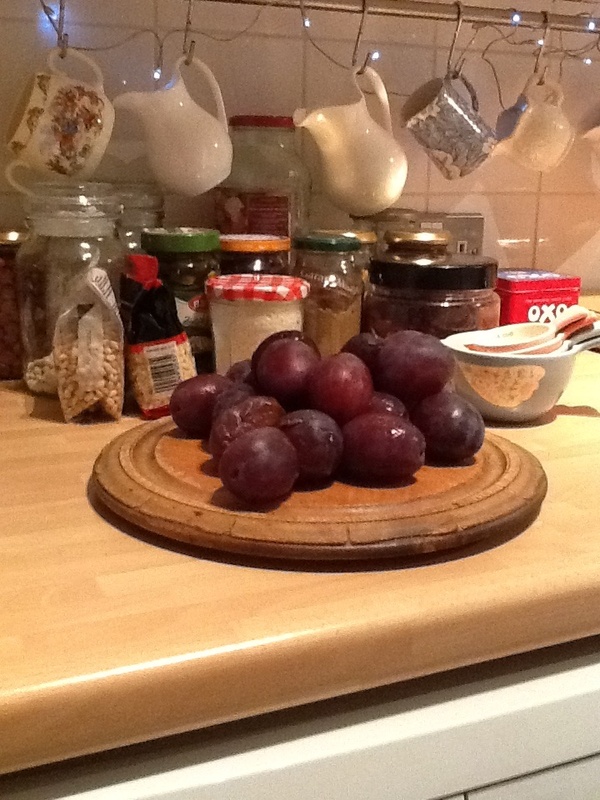 Wash the plums, halve and stone then cook gently with orange juice until tender about 15 minutes. Push through a sieve – should make about 700 ml purée. Put the purée into a large bowl and add all the other ingredients, except the brandy. Mix thoroughly, then cover and leave for 12 hours. Preheat the oven to 130 C/gas mark 1/2. Put the mincemeat in a large baking dish and bake uncovered for 2 hours. Seal and store in a dry, dark, cool place until Christmas and use within 12 months.